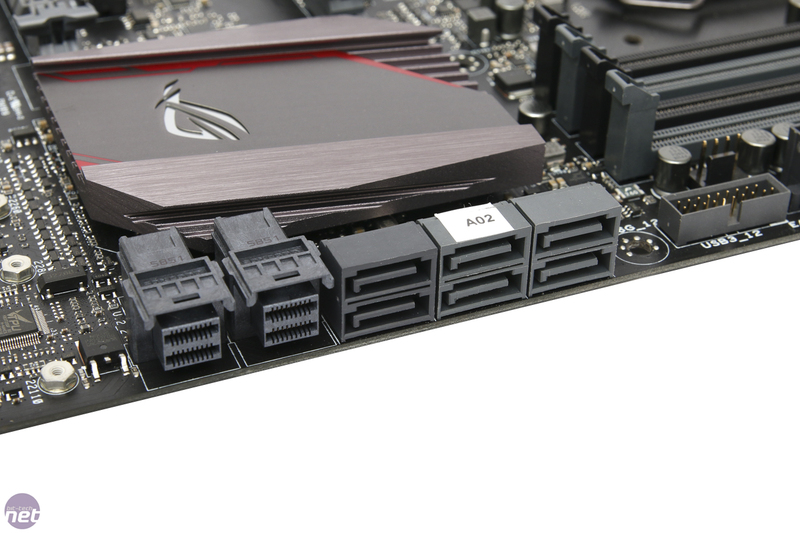 We were a bit surprised to see yet another Hero board under Asus' ROG brand earlier announced earlier this year. 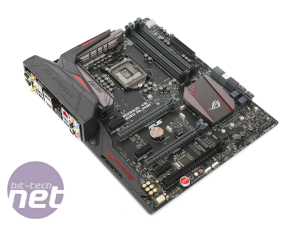 The original, which picked up our top award back in September last year, was already a very well-rounded bit of kit and offered plenty, even going up against its price tag of £170. 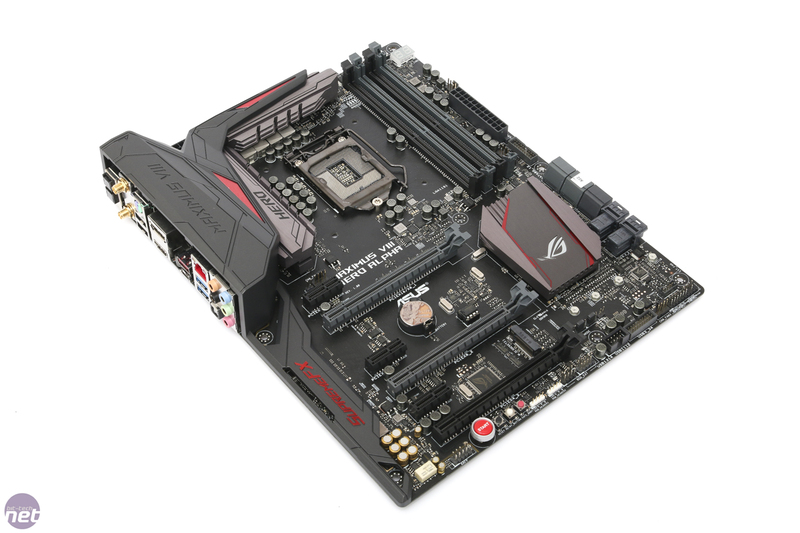 However, there is quite a gap between it and the stunning Maximus VIII Formula. 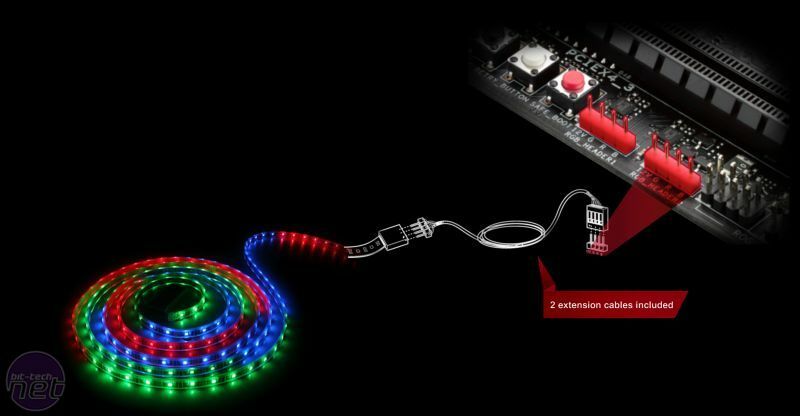 For starters, the latter can control RGB LED strips, it has U.2 as well as M.2 support, 802.11ac WiFi and Intel, rather than ASMedia-powered USB 3.1 Type-A and Type-C ports not to mention a price tag over £100 more. 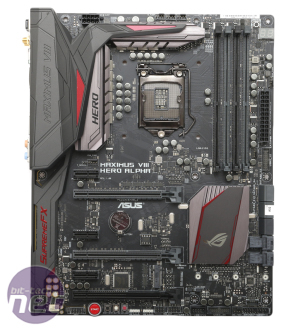 There was clearly a substantial gap in features and price and Asus has decided to fill it with the Hero Alpha. 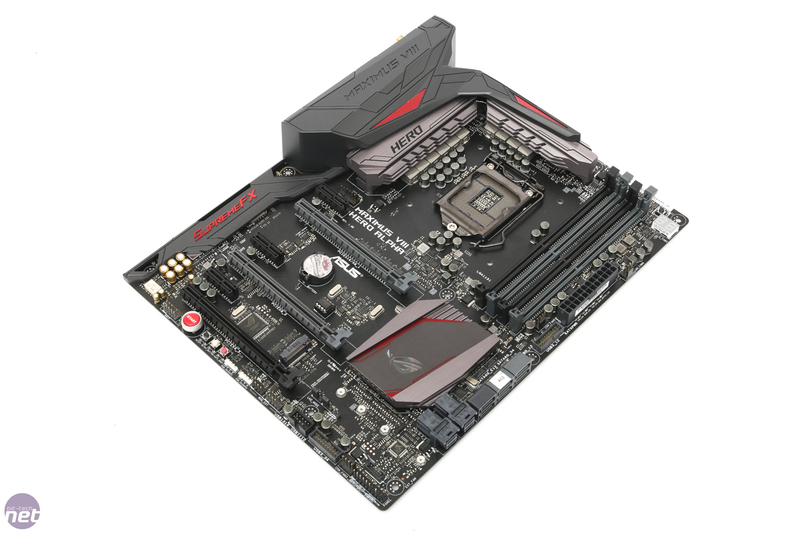 In fact, you're looking at a motherboard that adds pretty much those exact features to its specs list over and above what the original Hero offers. 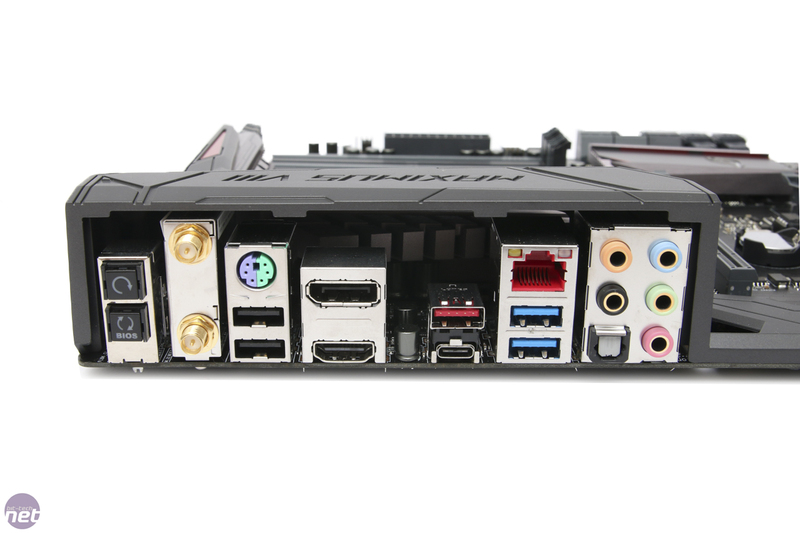 You get Intel-powered USB 3.1 Type-A and Type-C ports with Thunderbolt 3 support, 802.11ac WiFi, two U.2 ports and perhaps most importantly from a modder/aesthetic-conscious PC enthusiast's point of view - two RGB LED strip headers that can be controlled using included software. 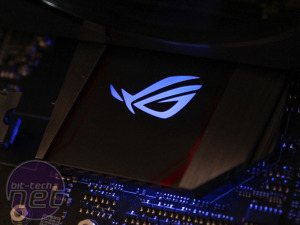 The board looks more like the Hero than the Formula, though, and while RGB lighting is included on the board itself too, Asus hasn't done away with the red detailing like it did on the Formula, so the latter is still worth considering if you want a blank slate as far as colour matching is concerned. 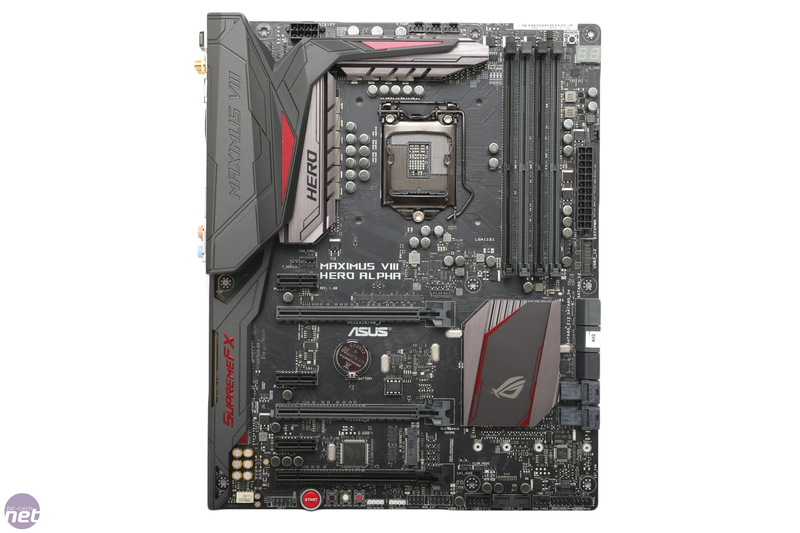 However, the extra £50 over the Hero clearly nets you some useful extra features, especially if you're building a high-end rig. 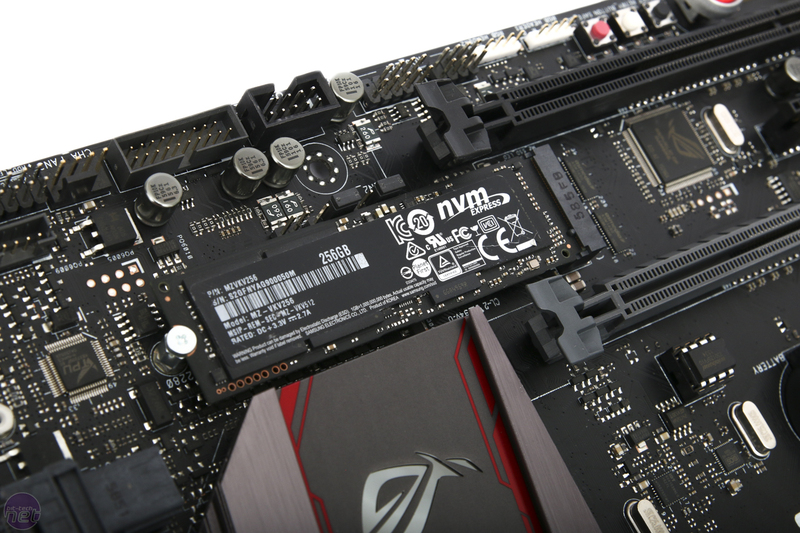 The £50 saving over the Formula, for example, could be put towards one of Intel's new U.2 NVMe SSDs, which can be had for less than £300 for 400GB now. 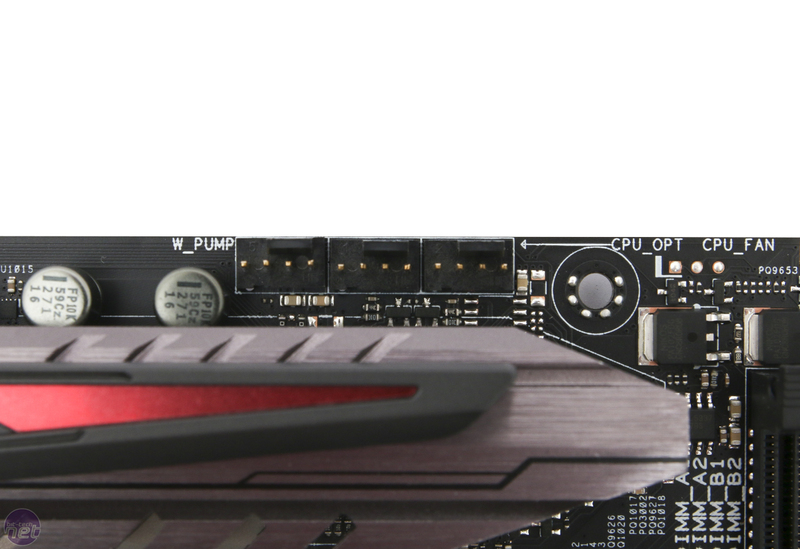 Of course, you'd be right to argue that Samsung's 512GB 950 M.2 SSD and the original Hero would be much better value - that SSD is just as fast, cheaper and offers 100GB more space too. 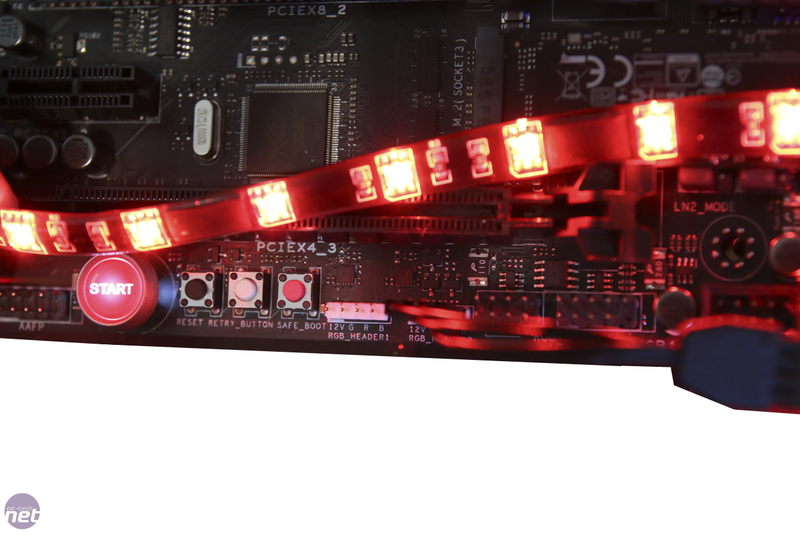 However, it's not just the next-gen storage that's on offer here - a decent compact RGB LED controller such as NZXT's HUE+ retails for £50 and while it includes LED strips, the price difference taking the Hero Alpha's included RGB controller and two headers into account means that as well as the other additional features, the Hero Alpha is actually not bad value if you totalled everything up. 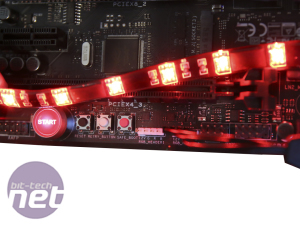 The two LED headers are located at the base of the board next to the power and reset buttons, so it should be easy to route strip cables away out of sight using extension cables and the latter should mean that getting a strip to the roof of the case is no problem either. 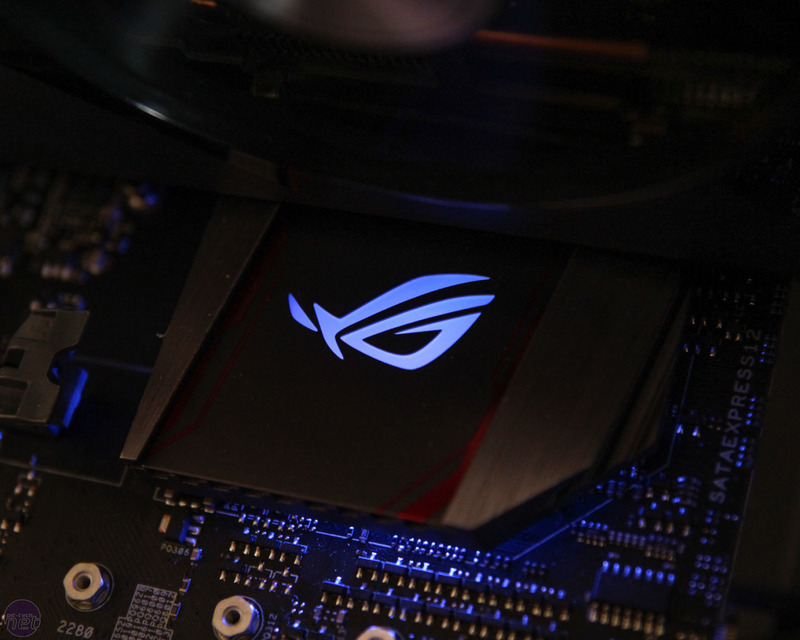 Hooking up two CableMod RGB strips straight to the headers saw things fire up instantly in Windows using Asus' Aura software suite, where you can control the colour and lighting effects of the board's ROG logo plus the two headers independently or as part of a group. 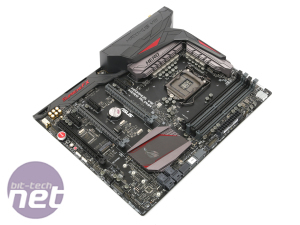 The rest of the motherboard is practically identical to the Hero, with a trio of PCI-E 16x slots offering dual x8 bandwidth for two-way GPU setups with another trio of 1x PCI-E slots. 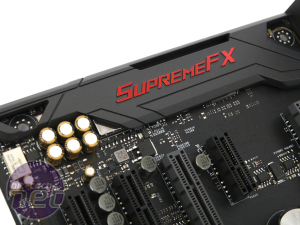 The first of these is handily located above the top 16x slot, so whatever GPU configuration you go for, you'll always have one free for a sound card if you don't decide to use the onboard Realtek-based SupremeFX 2015 audio. 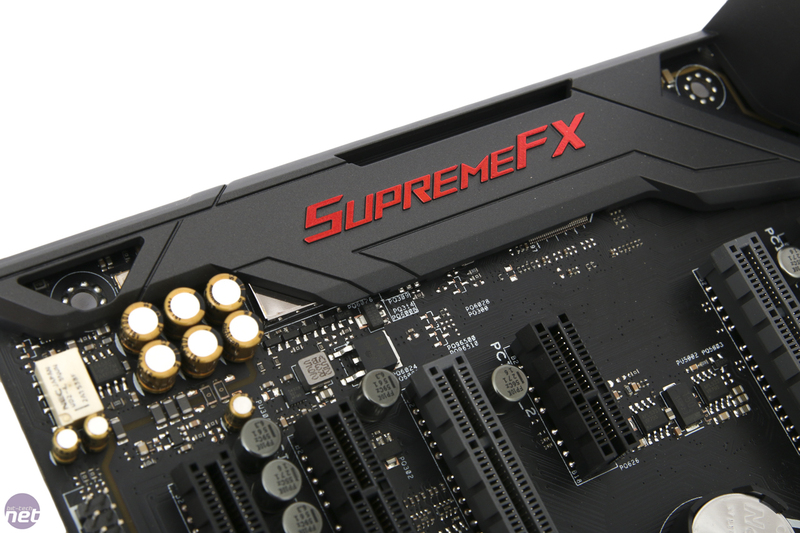 You get plenty of fan headers (7 in total) with one of these dedicated to powering all-in-one liquid cooler pumps, plus a 2-pin thermal sensor header too. 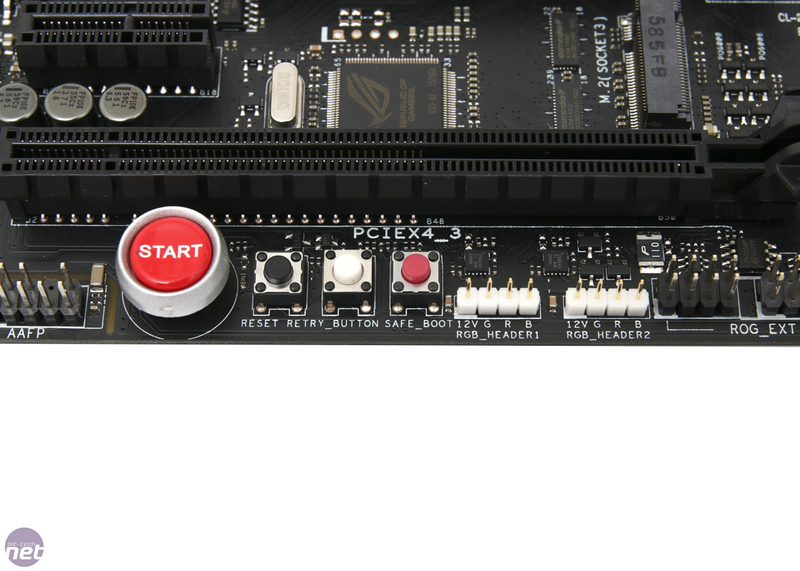 There are a couple of snags with the layout that mainly impact on the storage connectors. 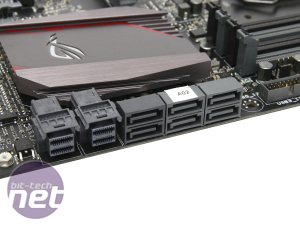 For starters, the M.2 port will be blocked if you use a GPU in the second 16x PCI-E slot and one of the U.2 ports could be tricky to get at too. 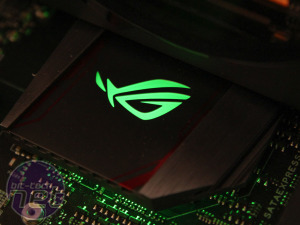 We're not thinking this will be an issue for many people, though, but given the Hero Alpha's price, two-way GPU setups could be a more realistic scenario than with a sub £150 board. 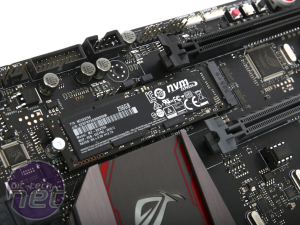 With a slightly crazy two U.2 ports in tow, Asus has had to opt for an ASMedia controller to bolster the lackluster four 6Gbps SATA ports (most Z170 boards have six). 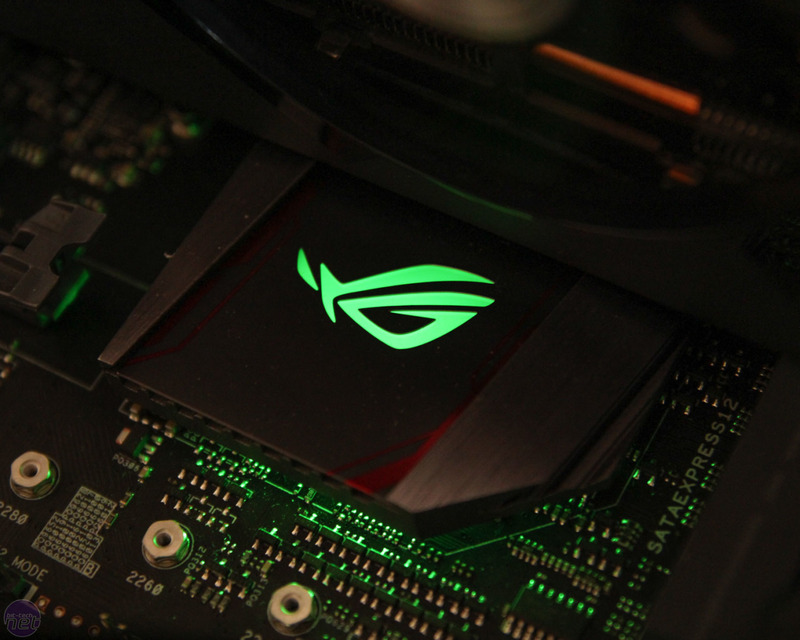 These are black and should be avoided with SSDs as they'll perform far slower than the Intel-powered ones. 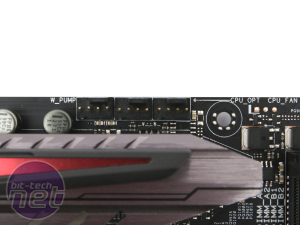 The rear panel is a bit thin on USB ports - you get just two USB 3 ports and two of the USB 2 variety. 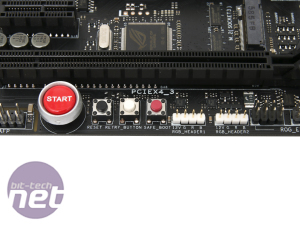 There's a USB 3.1 Type-A (gen 2) port as well, but that only amounts to five Type-A ports - two fewer than the standard Hero, which you can use for your peripherals, external storage and other USB devices, which may mean some have to opt for a USB hub if you're dealing with printers, headsets, mice, keyboards and backup drives.